So I had some difficulties getting the video off of my iPhone but now all is set. A little late but it’s here! I didn’t buy anything because honestly I’m not a big M&M fan at all. I love the colors and of course the commercials but its not a candy that I grew up eating or loving. But for those of you that do, the store was AWESSSSOME!! Seriously, the M&M characters are so funny and easily liked. I found myself almost buying a collectible. 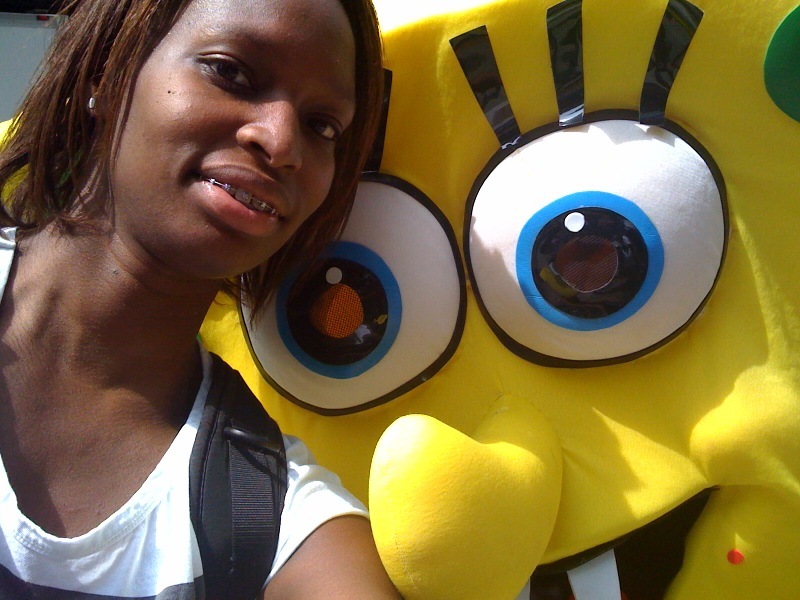 I didn’t but I did take a picture outside of the store with Sponge Bob if anyone loves Mr. Sponge Bob!